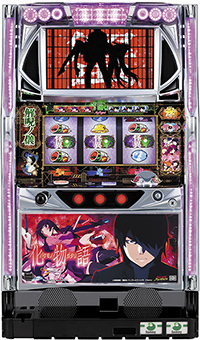 Today, we will feature firmly popular pachislot machine of “Bakemonogatari”!! This time, we will focus on the character song that is used on the actual machine. You will get to choose a character’s song during jackpot’s “happy-time”. Enjoy the jackpot while listening to the songs of five heroines!! “Bakemonogatari” is the first chapter of its original novel of “Monogatari” series, and its final third chapter has already been concluded in the original work. The next season, chapter 4 has already announced its production and its expectation is rising! !